CeBIT is the largest and most internationally represented computer expo. The trade fair is held each year on the world's largest fairground in Hanover, Germany. It is considered a barometer of current trends and a measure of the state of the art in information technology. It is organized by Deutsche Messe AG. With an exhibition area of roughly 450,000 m² and a peak attendance of 850,000 visitors during the dot-com boom, it is larger both in its size and attendance than its Asian counterpart COMPUTEX and its no-longer held American equivalent COMDEX. CeBIT is a German language acronym for Centrum für Büroautomation, Informationstechnologie und Telekommunikation, which is translated as 'Center for Office Automation, Information Technology and Telecommunication'. 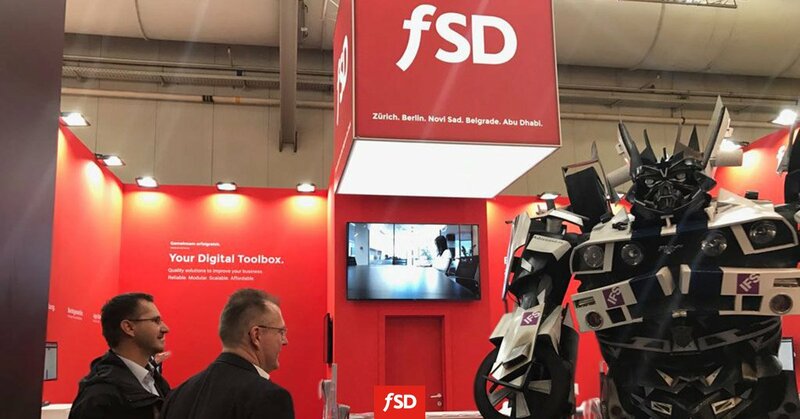 FSD is going to attend upcoming CeBIT 2017. You can find us at stand A25 hall 5. If you are interested in getting to know us and our products during the fair at our booth, please contact us, FSD will provide you a ticket for the occasion. CeBIT 2017 will be held 20th-24th March 2017. For more information about the fair, visit the official website cebit.de.